Stefan Novellino, Portugal projekt SHANGRI-LA. OBS the Site is still under construction !! 1) To care for a biodynamic farm as far south in europe as possible , in a warm climate , in order to grow a rich variety of subtropical fruits and plants, in order to become mostly self sufficient and self sustainable. The farm will be the base for a sustainable, holistic lifestyle that will offer fresh healthy food choices and provide an opportunity for everybody to practice mindfulness in physical work . 2 ) To care and manage for a healthy environ ment as uneffected as possible by microwave radiation, in untouched nature rich in water , with the potential to develop a thriving and rich biodiversity . Shangri-la is and wants to be a intentional comunity for living a healthy life style, free from EMF/microwaves radiations. Shangri-la (S.L. ) , we do not use any type of microwave generating devices. Shangri-La is , on the whole ground, a smoke, drug, alcohol and microwaves FREE place. 4 ) To share with other people the possibility to join and enjoy S.L. 5 ) To inspire and promote a healthy life style. 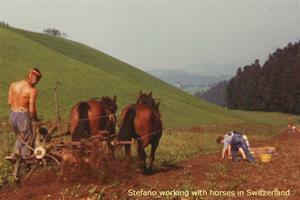 6 ) To work and get inspired from the impulses given by Rudolf Steiner . At S.L. we like to consciously focus on human contact, connecting with nature and handycrafts instead of dealing with electronics and media as is more and more the case today. Enjoy and be happy ! at S.L. you are out of reach for mobile phones ! while you are here , feel very welcome to contact us . S.L. 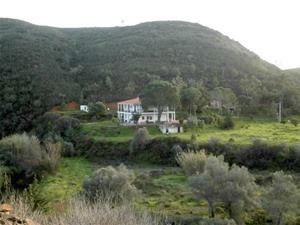 is peacefully nestled amidst the hills near the town of Silves in algarve , portugal. It provides an ideal environment for healing body, soul and mind.